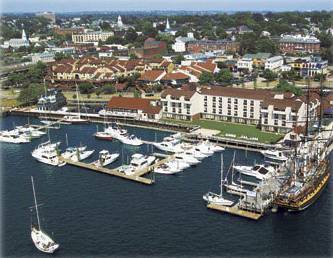 ACM NOSSDAV 2006 will take place at the Newport Harbor Hotel and Marina, in Newport Rhode Island. 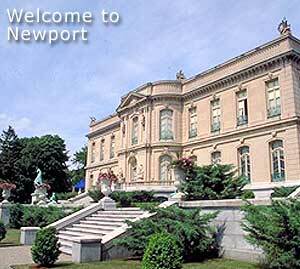 Newport, often known as the America's First Resort, is a city that offers numerous leisure activities that appeal to a variety of traveling styles The city's quaint wharves and cobblestone streets are a mix of unique shops and galleries. Enjoy a tour and tasting at the three local vineyards with a similar dining experience at a waterfront restaurant. You can take an exhilarating sail aboard the 12 meter America's Cup Yacht, tour a magnificent mansion of the Gilded Age, or play a tennis match on the only public grass courts in the U.S., at the International Tennis Hall of Fame. For nature pursuits, newport is home to miles of scenic coastline ideal for exhilarating sailing excursions, relaxing beach time, and rejuvenating walks. Take a stroll along the famous Cliff Walk, which affords panoramic views of the Atlantic Ocean with the Gilded Age houses on the other side. 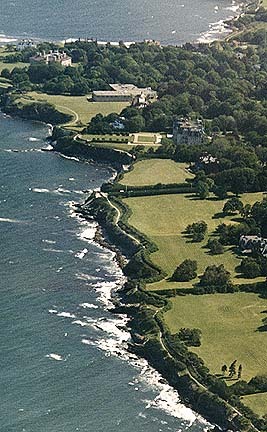 Or enjoy other natural attractions, including beaches, vineyard tours, and the Norman Bird Sanctuary, all on Aquidneck Island. The hotel web site contains additional information, including directions and area information. The nearest airport is T.F Green/Providence Airport in Rhode Island, which is about 30 minutes from the hotel. Many airlines fly to "PVD", including Southwest, American, Delta, and U.S. Airways. There are international flights to PVD. There are many more flights available to Boston's Logon Airport, but it is 90 minutes away. Cozy cab taxi leaves every hour from the baggage claim of PVD and will drop-off at any Newport hotel. Estimated costs are $20-25. Phone numbers are (401) 846-2500 or (401) 846-1502. We have negotiated a special rate from the hotel and encourage workshop participants to take advantage of it. There are rooms blocked out at a special rate of $169/night for Sunday (4/21) and (4/22). For more information about the room types and to reserve a room, guests need to call: 1-800-955-2558. Mention "ACM" to receive the negotiated rates. Reservations must be made before Thursday, April 27th to receive this rate. The hotel is right near the marina and Thames Street, within easy walking distances of shops and restaurants, so a rental car is not strictly necessary. Tourist sites not in the hotel's immediate downtown area, such as the Mansions, Cliffwalk, Tennis Hall of Fame, etc. can be reached by foot (15-20 minute walk) or cab (about $5). For those that have a car, the hotel has on-site parking.